Welcome to the Wilmington University, Department of University Safety (U.S.) website. I hope you will take the time to examine our entire site to find out more about the services, staff, and safety technology offered by the department. 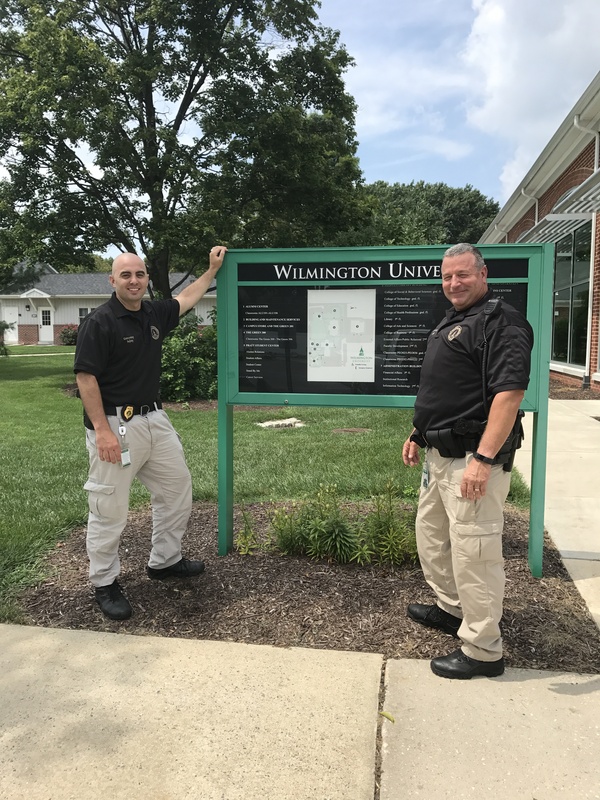 The constables of Wilmington University are licensed by the State of Delaware and have over 360 years of law enforcement experience combined. Our constables represent graduates of the Federal Bureau of Investigation National Academy, Southern Police Institute, West Point Command and Leadership Institute, and Wilmington University training among others. We see campus safety as a partnership between staff, faculty, and students; we encourage you to ASK U.S. about any issues relating to maintaining a safe and pleasurable learning environment. TELL U.S. about cares, concerns, and crime causing conditions that may come to your attention. The Wilmington University Department of University Safety (U.S.) is staffed by Delaware state certified constables. U.S. Constables are licensed by the State of Delaware and provide coverage for the New Castle, Wilson Graduate Center, Brandywine campus, and Dover sites. U.S. Constables are augmented by a contract security firm as well as State, County and municipal police agencies. Constables are trained professional safety officials who, according to Delaware law, have the same authority as police officers, within jurisdictional boundaries of Wilmington University, in order to protect life and property. Provide escorts to and from parking lots, particularly for those attending evening classes. Maintain campus security by addressing criminal activity or suspicious behavior. Maintain the physical safety of our campus. Discover, and report crimes, provide solutions to problems within the university community, investigate and report potential crime activity, provide traffic control, and emergency medical services when necessary.